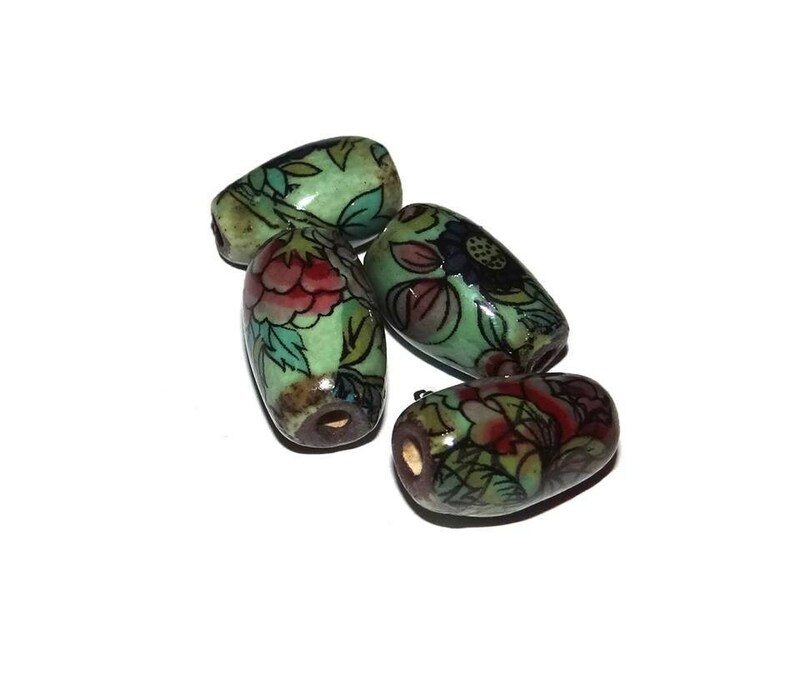 Handmade ceramic beads. Approx 15mm. 1.5mm holes. All my ceramics are made from stoneware clay. Once shaped they are left to dry out for up to 7 days, they then go through their first bisque firing at cone 04 for approx 14 hour including cooling. They are then glazed and fired to temps of 1222C. The third firing makes the image permanent.